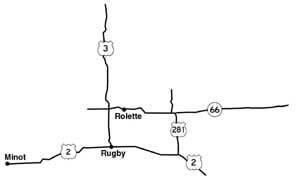 We are located one mile west of Rolette on Hwy. 66. Minot, ND, is served by Northwest Airlines and is 90 miles from Rolette.